Being goal oriented can instill motivation, a sense of purpose, and pride in accomplishment. The author recommends creating few and manageable goals daily and then facilitating and assisting along the way. Even if the goal seems simple such as doing ten stretches or completing a small craft project, completing it can make a big difference in a senior’s experience of the day. Many of us have been blessed by entering the life story of an older adult. They were once young and ambitious and passionate, and their lives were likely full of adventure, romances and achievements. By encouraging them to share their stories, through words and pictures, we can reaffirm their identity, value, and accomplishments. Surround them with positive memories via photos, postcards, posters, music, movies, honors, etc. Ask questions and watch their face light up as they tell you their story. Social networking provides regular opportunities for seniors to connect with family and friends. It is also a convenient way for loved ones to check in on seniors and assess their physical, mental, and emotional well-being. While connecting via social networking does not replace the intimacy of face to face interactions, it is a wonderful supplement and can help older adults feel more connected daily. It is important for older adults to feel a sense of usefulness. If their physical functions are limited, we can identify and introduce topics or tasks where they can feel wanted or needed. By asking for their opinions on decisions you need to make or asking them for advice on important life matters, they can feel that they have something to contribute to the lives of others. 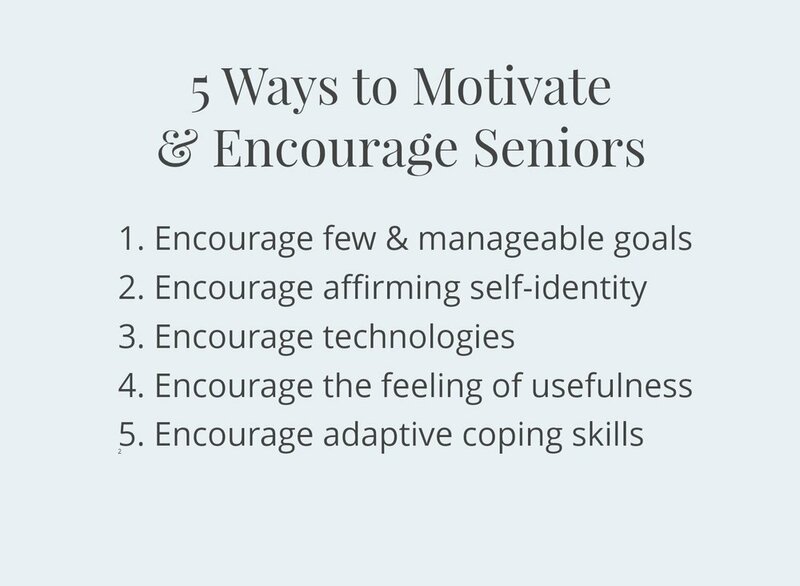 Having a sense of purpose, a strong sense of identity, connecting with family and friends regularly, experiencing the feeling of usefulness, and learning to cope with decreased abilities, can greatly impact and improve a senior’s experience of life. What can you do to help the seniors in your life?